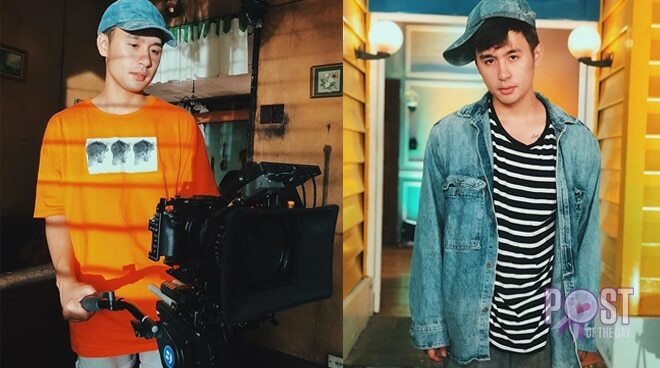 Former Pinoy Big Brother housemate Fifth Solomon took to Instagram to share his realizations as he achieved his dream of becoming a director. Fifth looked back and said that he just started out as a fan of the reality show, then he got the chance to be a housemate. And now, he is continuing his journey in showbiz as a segment director of PBB. “[PBB] helped me discover and embrace myself. It also opened lots of doors in the industry I dreamt of being a part of. Being a Big Brother housemate does not end after you exit the house. It actually continues. Marami kang madadala from the inside,” he wrote. “Di ko alam if tama grammar ko. Magbasa na lang kayo. Naintinidihan niyo naman. Char,” he added. from being a FAN of the show, to actually being an official HOUSEMATE and now, a segment DIRECTOR of Kuya. 😊❤️🏠 @pbbabscbntv helped me discover and embrace myself. It also opened lots of doors in the industry i dreamt of being a part of. Being a Big brother housemate does not end after you exit the house. It actually continues. Marami kang madadala from the inside. 😊❤️🤟🏼 d ko alam if tama grammar ko. magbasa nalang kayo. naintinidihan nyo naman. char. Fifth had his directorial debut last year, the film Nakalimutan Kong Kalimutan Ka which starred his close friend and fellow housemate, Alex Gonzaga.